You know how they always tell you that the most important meal a day is breakfast, and honestly, what better start a day do you get than beginning it with a nice, delicious brunch in good company? Today I am sharing with you the best brunches in Copenhagen and something more about the new brunch concept that is currently very popular in Copenhagen – the build your own brunch – a concept where you, on a piece of paper, pick out what brunch offers you want and cross them out. Your selected brunch items are then served to you on a platter. 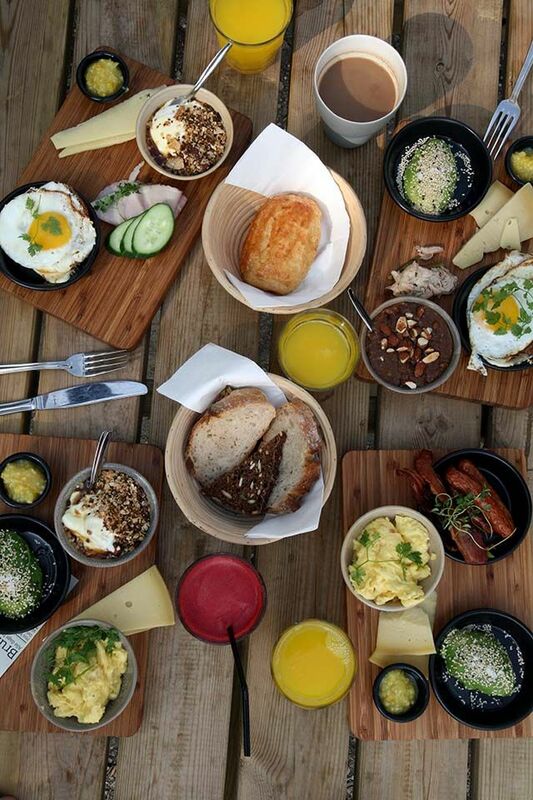 Mad og Kaffe won the title of best brunch in Copenhagen in 2015, which proofs that the brunch here is just amazing. 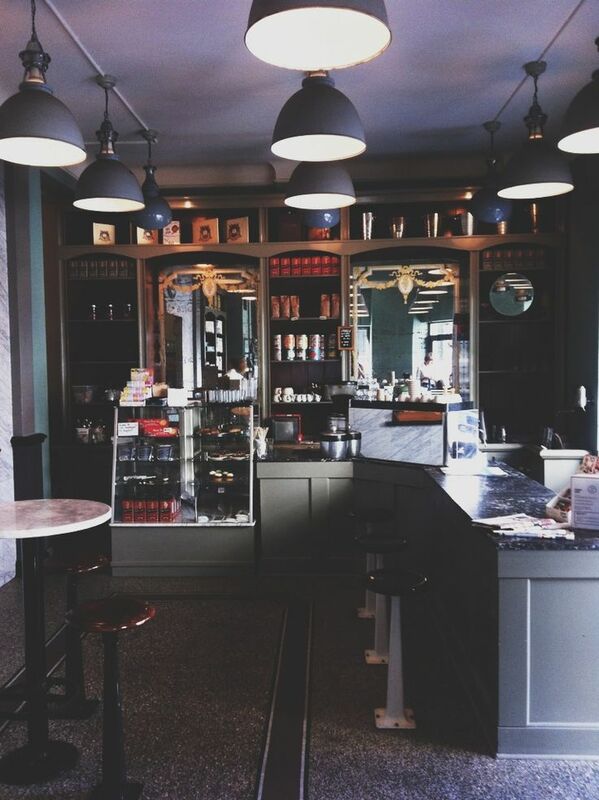 Located on one of the hipster streets in Vesterbro, Mad & Kaffe knows exactly what their customers want. They utilize the concept of build your own brunch, and guests can pick between about 18 different small brunch dishes such as half an avocado, croque monsieur, or scramble eggs and you get three different for 65 dkk, five for 100 dkk or seven for 130 dkk, which is actually a pretty reasonable price taking in consideration that we are speaking about Copenhagen. Møller Kaffe & Køkken also takes use of the same build your own brunch, but here every little tapas sized breakfast brunch dish has its own price. That means you aren’t limited to pick either 3, 5, or 7 different ones, but also that the cost is a higher than at Mad & Kaffe. The cafe is very cozy and if the sun shines there is also great outdoor seating. 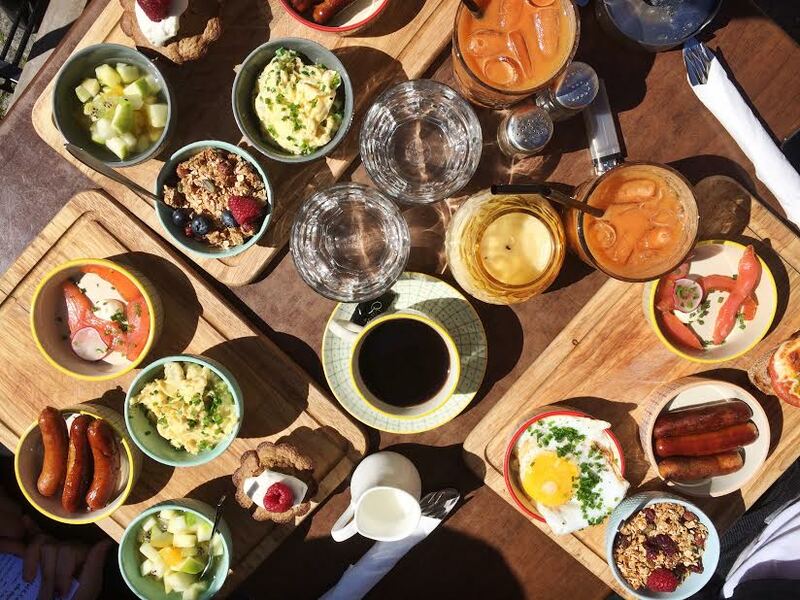 On the menu brunch guests can find everything from a warm, sugary english waffle, an egg sunny side up to Danish sausage or øllebrød, a Danish traditional porridge. Pic source. Atelier September invites guests to brunch or breakfast in the most gorgeous and aesthetic surroundings in the middle of Copenhagen’s bustling and fancy streets. The prices are a little high, but brunching at Atelier September will also buy you a good experience and a perfect capture for Instagram. Atelier September serves classic, photogenic meals such as avocado on rye bread, yogurt and granola, matcha lattes, eggs, fresh berries and grape fruit. 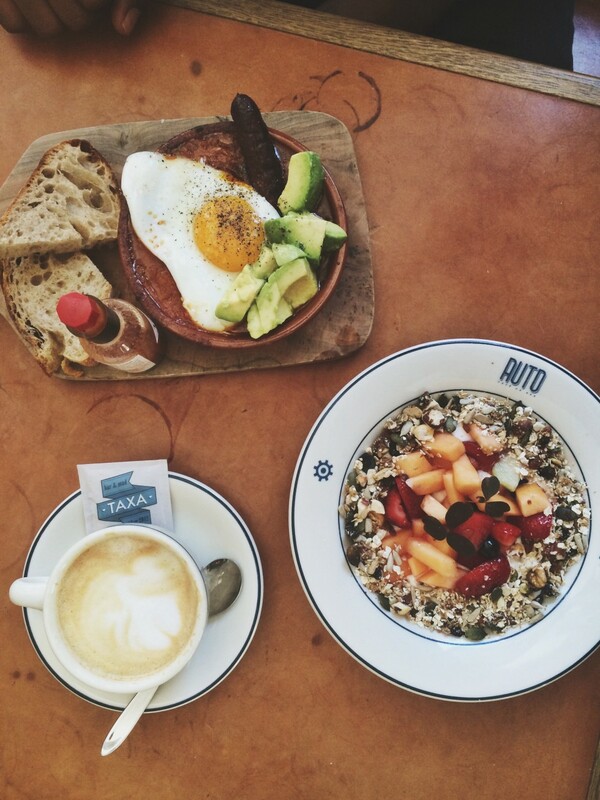 In Atelier September you will be sure to brunch with at least one half-celebrity or an up-coming blogger. A favorite for locals and a laptop friendly cafe which means people come here to stay and hang out for a few hours. Located in the center of Nørrebro where families, students and immigrants live side by side, Cafe Auto is visited by a wide audience, which gives the cafe a fine sense of authenticity. Cafe Auto is a nice, simple and quiet place to start the day, and with breakfast options like granola, eggs, chorizo, cheese, bacon and the Icelandic healthy yogurt skyr, one couldn’t ask for more. 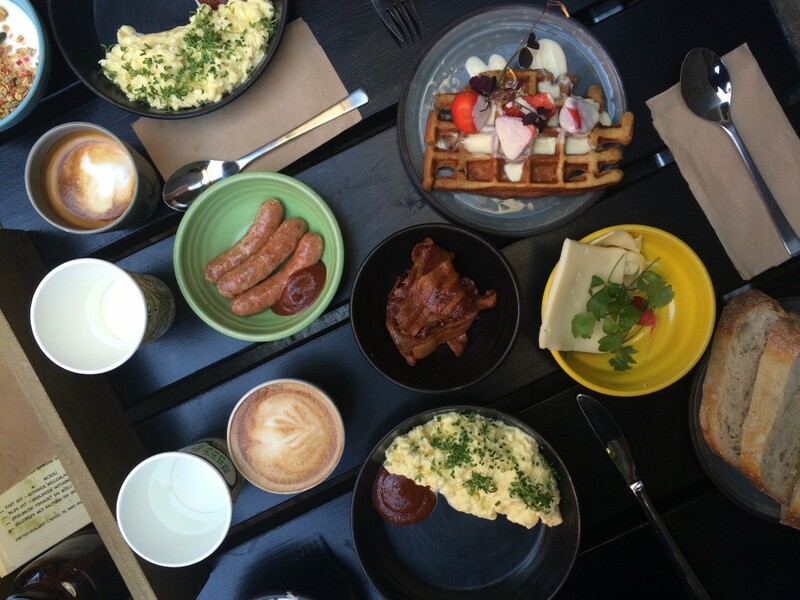 Cafe Auto serves breakfast every day till 4 pm, and in the weekend they serve even bigger brunch platters. As I grew up nearby, this cafe has been my regular to go to cafe regardless if for meeting friends for coffee or wine or having brunch or dinner with the family. Pixie does it all! Pixie is situated in the cutest little square where the buildings around it look like as where they taken from a movie set, and the little colored light bulbs that hang on the square all add together to give the perfect vibe and atmosphere. 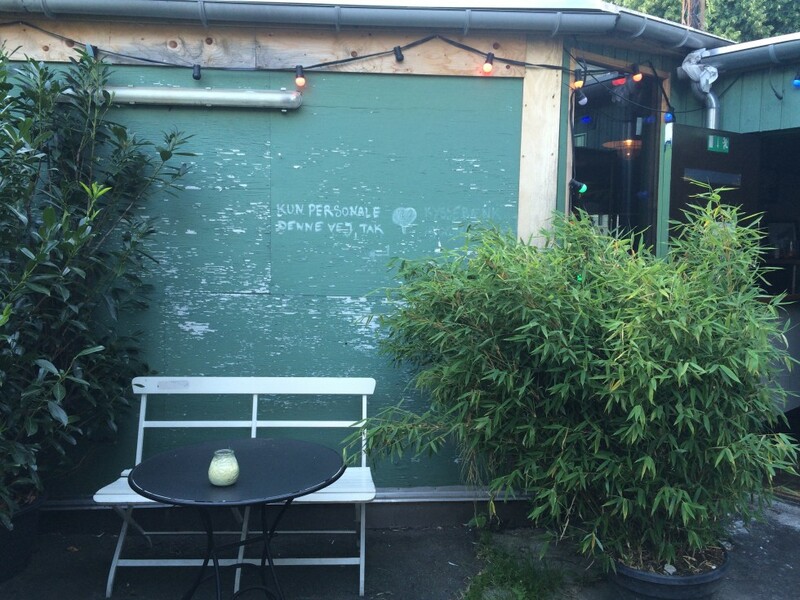 Pixie is especially good to visit in the summer time so one can enjoy the outside seating on the little square. If the weather isn’t good, fear not, Pixie is also great inside. Brunch is served everyday till 4 pm, and the different options are different brunch platters containing everything one could wish for, or quiche lorraine, croque monsieur or madame or scramble eggs. Pic source. As soon as you see this place from the outside and their lovely tin sign that says Granola, you will feel like you are in Paris in the 1950ies or 60ies, and the next thing you will learn as soon as you step inside of Granola is that this place is well thought through and everything even down to the littlest detail is beautiful. Granola is a whole day affair kind of cafe that both serve but what they especially are known for is their breakfast which consists of pancakes, eggs, juices, milkshakes, coffee, fruit, bacon – and of course granola – plus other brunch delights! Granola is one of those inviting, warm and cozy places where you are welcome to enjoy a breakfast or brunch accompanied by friends and good, nice, long talks. The fact that The Union Kitchen serves their coffee with little sentences in the milk foam – such as take life by the balls or you can sleep when you are old is reason enough to go here, but the fact that The Union Kitchen also serves really great brunch makes it a whole lot better. 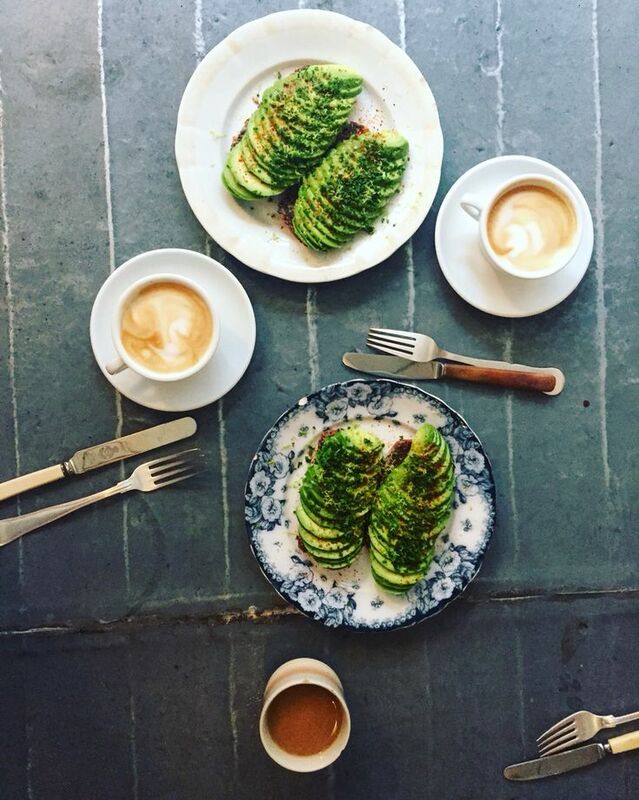 On the menu is the all time favorite breakfast platte which contains a mix of everything good, but if you want to spice it up you can also try the Instagram favorite avocado on rye bread. If you have a sweet tooth aching, opt for the buttermilk waffles served with bacon and maple syrup (how good does that sound! ), and if you are more in for the savory try (meat)balls of the day, eggs benedict or sourdough bread with salmon and cottage cheese. Pic source. This cafe speaks to all interior and design lovers, food lovers, cake lovers, aesthetic lovers and of course, brunch lovers. 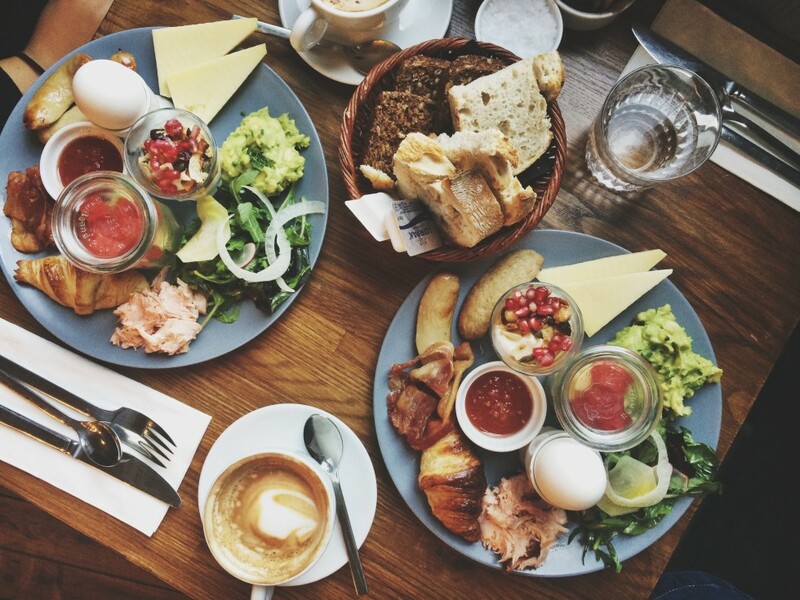 Wulff & Konstali were the first cafe to invent to build and mix your own brunch concept to Copenhagen, which also causes the cafe to be absolutely packed on the weekend with crowds that all come all the way to Amager to try this very much talked-about, popular and successful place. The prices are five different brunch options for 119 kr or seven for 149. There are about 20 different tapas brunch options such as the fun (sweet stuff), cheese, sausage, eggs, and freshly baked goods from the cafe’s bakery. Besides serving what is probably the most popular brunch in Copenhagen, Wulff & Konstali also has beautiful decor with big industrial lamps mixed with Scandinavian style furniture.